NO. 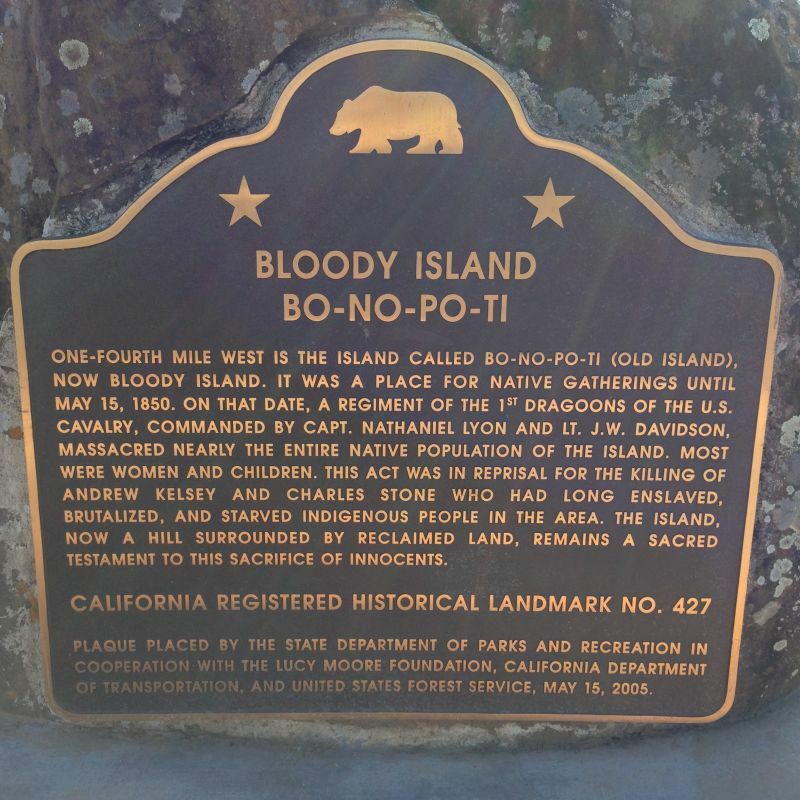 427 THE BATTLE OF BLOODY ISLAND - One-fourth mile west is Bloody Island, now a hill surrounded by reclaimed land, where, in 1850, U.S. soldiers nearly annihilated the Indian inhabitants for the murder of two white men. Doubt exists of these Indians' guilt. In 1851 a treaty was negotiated between whites and Indians. What some call a "battle", others call a massacre. Were General Lyon's actions justified or did he commit an atrocity? 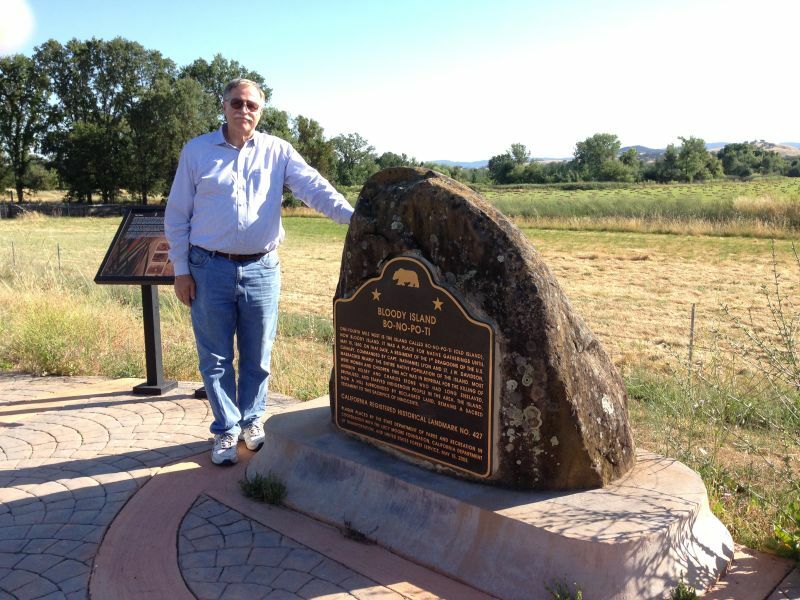 Read the "Clear Lake Massacre" (link below) to see what happened to the children of the Pomo Village.